These audio intercoms will make it easy to communicate with visitors at the entrance to your home or commercial property, allowing you to decide whether to allow entry without leaving the building. Whether you want to regulate access to a door or a gate, the intercom system will enable it to be opened directly from the handset, giving you complete control over who can enter your property. 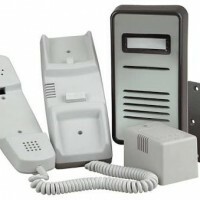 Shop now to see for yourself the high quality audio intercoms we have in stock.